In our socially connected world, the ideal brand marketplace inspires customers to create content that compels others to act. This post covers 6 examples of successful user-generated content. For more examples, download our free Fast Food industry report, where we uncover user content that went viral for the industry's top 20 brands. Brands are always searching for and creating new, engaging content to share with followers and customers on social media, their website, and other mediums. But constant product promotion gets old really fast, and content unrelated to a business is only valuable in small doses. Along with consumers having shorter attention spans and the fact that it’s so easy to ignore marketing messages or unfollow a brand, marketers have an uphill battle to keep audiences coming back for more. For many brands, user-generated content has been the answer. The official definition of user-generated content is “content that encourages users to share their experiences with a brand, which is then shared with other users.” Examples of this include using a specific hashtag for a Twitter or Instagram contest, posting a picture using or wearing a company’s product, or submitting an online review through a website like Yelp. User-generated content adds originality to a company’s marketing strategy, making it seem less like marketing and more experiential for consumers – which ultimately leads to higher engagement. Social media campaigns including user-generated content see 50% higher engagement, and email campaigns see 73% higher clickthrough rates. Consumers also find user-generated content to be much more influential, with 85% saying it has more of an impact on their opinion of a company than branded photos or videos. The best thing about user-generated content is that any company can get involved. You simply need a customer base that is willing to share their experiences with others and a campaign that lets these experiences take center stage. If you’re looking for some inspiration to create your next user-focused campaign, take a look at these six brands currently winning at user-generated content. One of the longest-running user-generated content campaigns is Share a Coke, which for years has featured hundreds of the most popular names on Coca-Cola cans and bottles. Consumers dug through store shelves to find their name on the product, and were encouraged through marketing and in-store displays to post a picture on social media with the #ShareaCoke hashtag. In addition to personalized names, there were labels that promoted sharing the products with friends or family members – labels like “friend,” “grill master,” “bro,” etc. 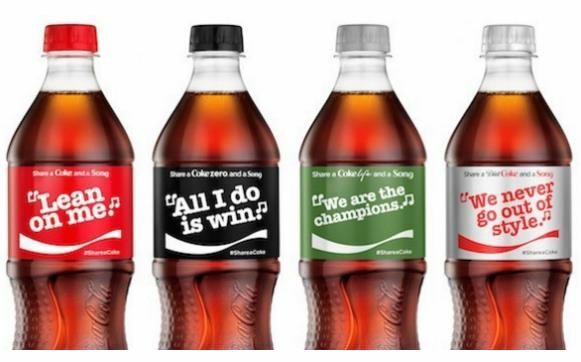 This year’s campaign, called Share a Coke and a Song, switches things up a bit and features 70 famous song lyrics on the company’s products. Music is seen as a universal language of sorts, and Coca-Cola wanted to bring a sense of unity to its diverse customer base. Not only can you find these limited-edition products in stores, you can also customize and order your own bottles on their website. They even partnered with Shazam to bring music directly to its products and store displays. Consumers can scan the lyrics printed on a Coke product or store signage through the Shazam app and record a lip-synced video to share on social media with the #ShareaCoke hashtag. This gives Coca-Cola another means of collecting user-generated content and allows consumers to decide for themselves how they want to engage with Coke products and express their creativity. A brand under the American Eagle umbrella, Aerie has distinguished itself from many competitors in the clothing industry by positioning itself as a company that is authentic and approachable. In early 2014, Aerie launched their #AerieREAL campaign by announcing that they would no longer retouch any of the models in their marketing materials. In a world where we are constantly bombarded with airbrushed, Photoshopped images of the “ideal” body, Aerie crushes this notion with the message that women of all sizes and backgrounds are beautiful. 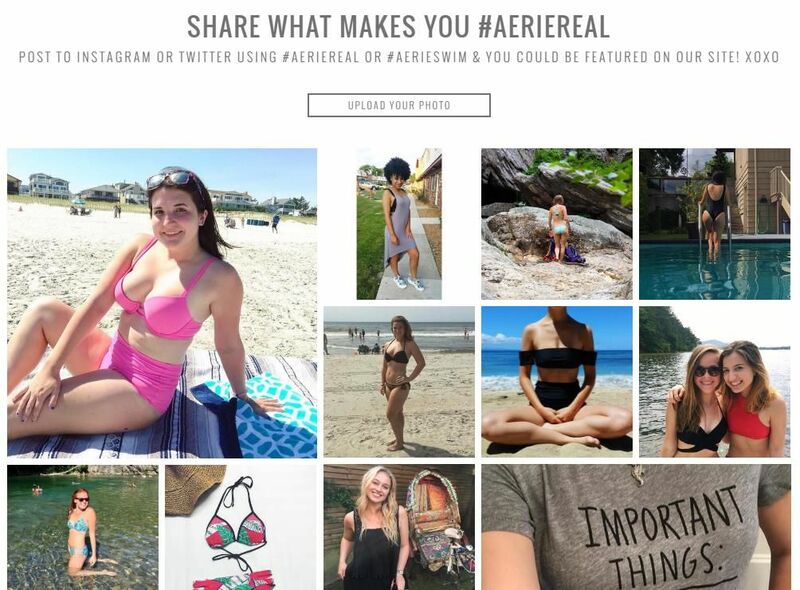 From their initial ads has come an influx of user-generated content, with customers sharing their own pictures wearing Aerie products and using the campaign hashtag. The company frequently engages with these posts on social media and encourages others to share their story of what makes them #AerieREAL on Twitter and Instagram. Their campaign embraces the diversity of their customer base and empowers women to own what makes them unique. Like Aerie, Loews Hotels wanted to create a more authentic experience in its advertising by straying away from the industry’s norm of using models in marketing. To gain feedback on customer satisfaction and understand what features and amenities were most important, Loews began scouring Instagram for pictures that past guests had shared by searching relevant hashtags and location tags. 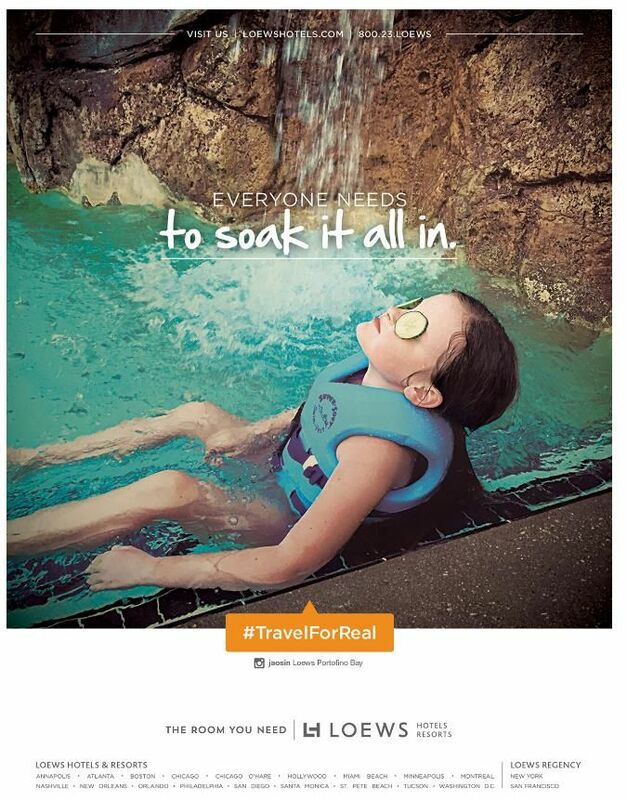 They expanded it to a full-blown user-generated content campaign with the #TravelForReal hashtag, encouraging customers to share what it’s really like to stay at a Loews property on Instagram. Loews is collecting these photos for their website, social media posts, and even print advertising. Imagine seeing a picture you took on one of their Facebook or magazine ads. Well, that’s exactly what they’re doing. Their philosophy is that “nobody tells our story better than you,” and every image you see in their marketing materials is 100% original and without a bit of retouching. Loews wanted authentic, and that’s exactly what you’re getting when you interact with their content. When it comes to user-generated content, most people think of social media campaigns and hashtags. But reviews are another way that consumers can share their experiences with both a brand and other customers, and they’re essential to building a brand’s online reputation. Amazon has more customer reviews on its site than anyone, so they understand the impact they have on purchase decisions. At the top of any product page, you’ll immediately see the average number of stars an item was given, along with a link to read reviews. They realize that some consumers prefer to read reviews before learning more about the product itself, so they make that search and discovery process as simple as possible. However, many companies struggle to get customers to take the time to write a thoughtful review. The reason Amazon’s process works is because it’s so easy. Anytime you make a purchase on their site, you receive an email asking you to rate the product from 1-5 stars and the option to leave a review. So if you don’t want to spend time writing a few sentences of feedback, you can still express your satisfaction or dissatisfaction through this star rating. Amazon’s product reviews also play a key role in filtering search results on the site, allowing a user to view only products that have a specific rating. So not only do they get valuable feedback from customers, they allow them to play a part in other visitors’ searches. You’ve probably come across Calvin Klein’s advertising in magazines and online with the fill-in-the-blank sentence “I ________ in #MyCalvins.” Through celebrity endorsers like Kendall Jenner, Justin Bieber, and Kendrick Lamar, Calvin Klein gives these figures (and everyday consumers) the stage to explain how their brand plays a role in their lives. You can submit photos wearing Calvin Klein products through the #MyCalvins hashtag on Instagram, Twitter, Facebook, and their website – and the images are featured throughout their digital presence. 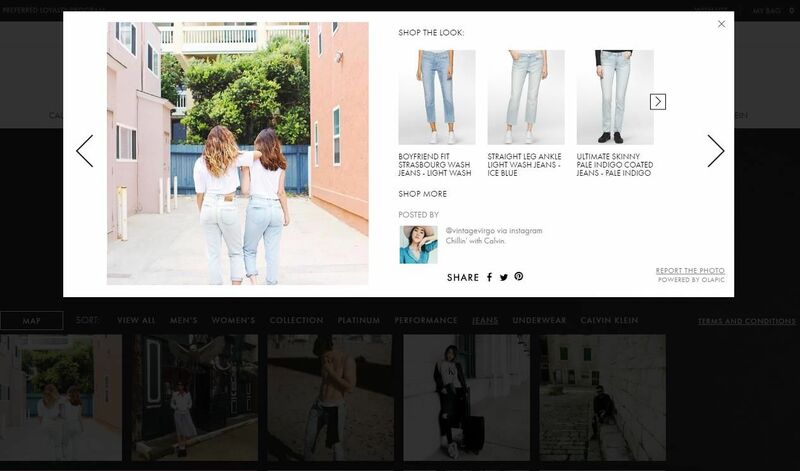 When viewing the image galleries on their site, you can sort the photos by product category (jeans, underwear, etc. ), gender, or geographic location, see the social media handle of the person who submitted it, and the platform it was submitted on. Then if you click on a picture, there’s additional information about the products featured with links to the corresponding product pages so you can buy the look for yourself. The #MyCalvins campaign connects well-known celebrities with typical consumers, making it appear that they’re “just like us,” living their daily lives in the company’s apparel. And adding an ecommerce element to each user-submitted photo allows consumers to immerse themselves even further into the brand, while also creating new sales opportunities for Calvin Klein. Up until this point, the brands discussed provide tangible products and services to consumers, making it pretty easy to collect user-generated content. But American Express goes to show that truly any company in any industry can make it work. The American Express OPEN Forum is a blog-like website that covers a variety of business-related topics, including company culture, ecommerce, money management, social media marketing, and much more. But what’s most interesting about the site is that almost no content is contributed by American Express employees; it’s all user-generated. 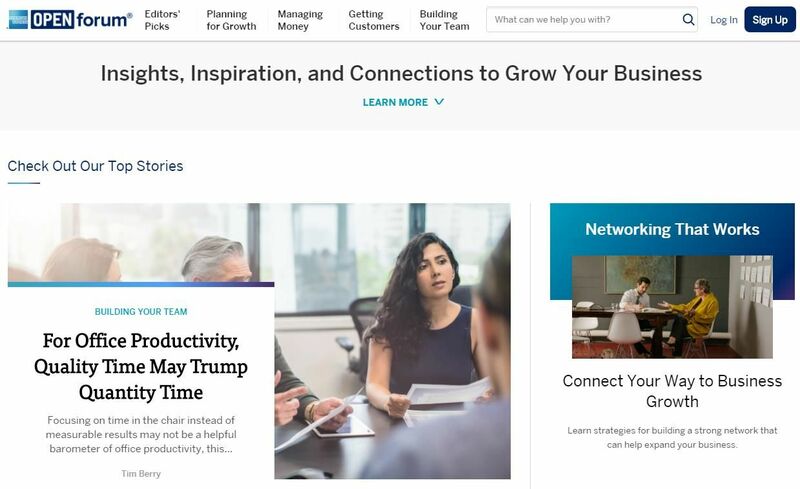 By creating a free account on the site, you gain access to exclusive content shared by small business experts, can post your own questions, answer questions submitted by other members, and contribute original content. There’s even a mobile app available so you can receive a daily summary of articles based on the topics you specify interest in. American Express brings user-generated content to the professional realm, giving their audience a place to come together and collaborate on common business questions or challenges. These six brands have tackled user-generated content from a variety of angles: social media content, customer reviews, a community of business advice, and user creativity. Even though they may be from a wide range of industries, target different audiences, or focus their marketing on different channels, they’ve all found a way to put their customers first and let their experiences speak for themselves. Consumers want to know that companies are listening when they have something positive or negative to say about an experience, and user-generated content provides them with the platform to do so. It not only gives brands a chance to understand their audience’s wants, needs, challenges, and questions, but it makes their audience feel like they matter. So if you haven’t thought about incorporating user-generated content into your marketing mix, now might be the time to give it a try. If you’re interested in other examples of how user-generated content impacts brands, download our Fast Food industry report. This article originally appeared in Mainstreethost, was written by Kim Speier from Business2Community, and legally licensed through the NewsCred publisher network.